Need a quick team order of Custom Jerseys, Hats or T-shirts for your baseball or softball team? You're in the right place!! 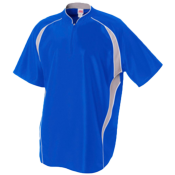 Design or upload your logo on different types of: Softball Gear, Full Button Jerseys, & Official MLB Wear. Team baseball jerseys are shipped right away!! 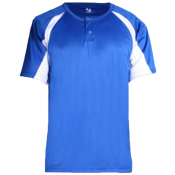 If you’re looking for the very best custom little league jerseys, CustomPlanet is the place. We carry the top brands available for baseball and softball teams ready to win: Teamwork Athletic, Holloway, High5 Sportswear and Augusta Sportswear to name a few. All of our uniforms and jerseys are strategically sourced within a one day ship to us, so that we can get them to you in time for opening day or that first game. We can outfit your baseball team from head to toe. We customize game jerseys, practice jerseys, pants, undergear, hats…..you name it. Need a simple one color logo on the front and back jersey? Consider it done. 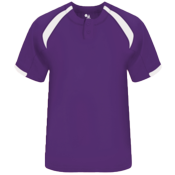 Add a matching hat, and we’ll embroider it perfectly with your logo. Up the ante with matching undergear. Win or lose, you’re gonna look awesome. Just show us exactly what you want using our design tool and we’ve got the rest. 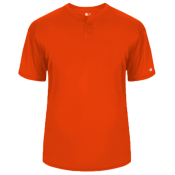 Design your own baseball and softball jerseys and hats within minutes. 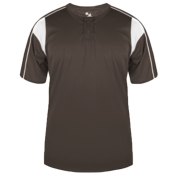 Using our design tool you can create the exact baseball jersey you want. Add text to the jersey and pick from 100 different fonts. 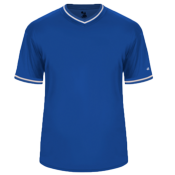 Add your player name to the jersey and select one of our baseball fonts for the real deal look and feel. Choose from over 10,000 clipart images to add your mascot. If you’re stumped, email your design to us and we can make it look awesome. Did you know we carry the Official MLB baseball Jerseys and Hats? We’ve got every American and National league team with their official MLB logos. Whether you order MLB baseball uniforms for your little kids leagues and teams or for your high school, your players will the official MLB gear. We have a great select of MLB flex fit hats, cotton hats, MLB full button jerseys, two button jerseys and MLB tshirts. Best of all, you pick your own delivery date at checkout. This helps you maximize time and lower your costs. Simply add your custom baseball gear to the cart and go to the checkout page. There, you’ll find a calendar that allows you to select any day for delivery, other than weekends and holidays.